This collection of images shows geologic features in many of the country's national parks. 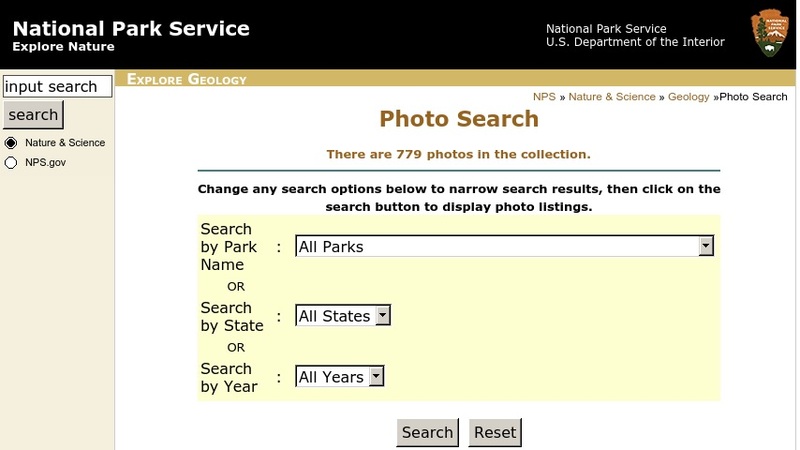 The collection is searchable by park name, state, year, or by the name of the photograph. Each photo is accompanied by a brief caption that provides the photographer's name, the date, and a description of the photo.